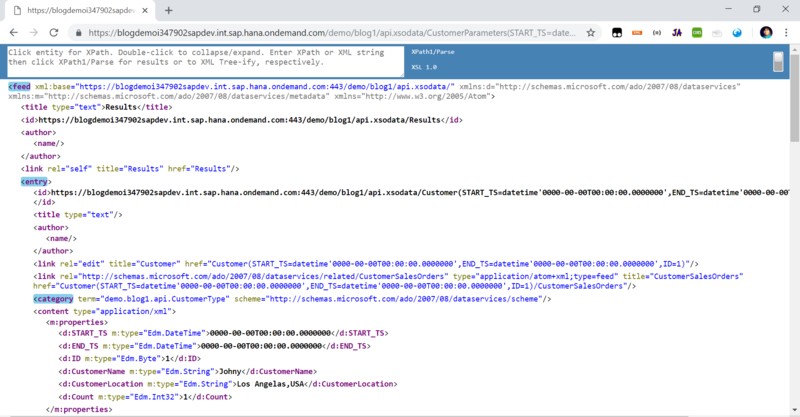 Let’s code association/navigation and data provider expand in OData service! 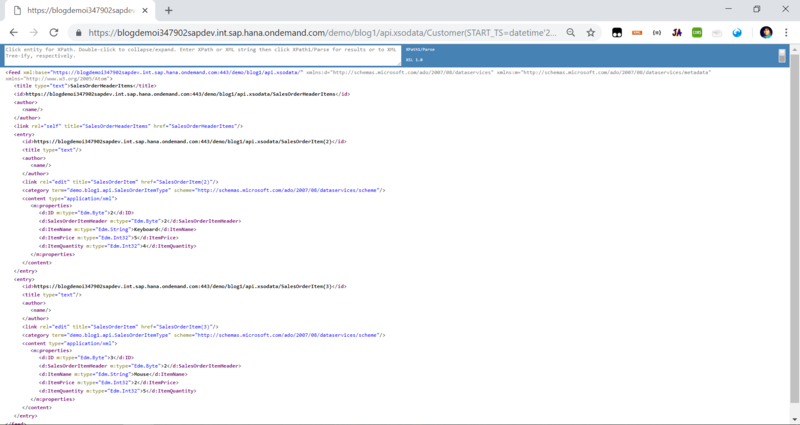 We can find many such blogs as shown above, however in case of complex calculation views that require input parameters defining the association and navigation is a challenge. 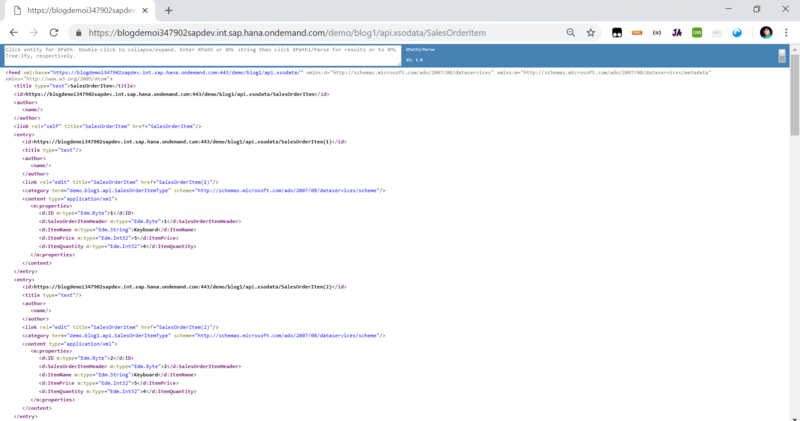 Unfortunately, the SAP help documentation and other blogs have not explained this scenario in detail. 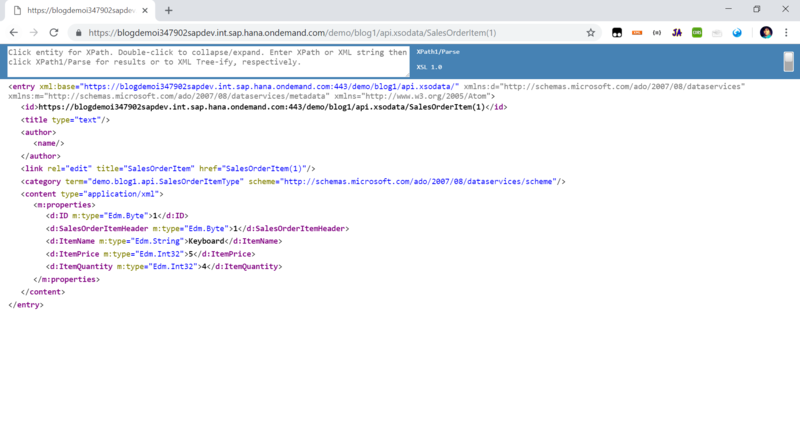 In this blog, I will explain how a calculation view that requires input parameters can be linked to other entities and how a navigation property is defined in the XSOData. We will take a very simple example consisting of entities Customer, Sales Order Header and Sales Order Items. In the 1st step we will create calculation views for our entities and expose them. So the experts can directly dive to 2nd step where we will add association and navigation for our entities. Note: We have defined input parameters START_TS and END_TS to output SalesOrderHeaders which have SalesOrderDate between START_TS and END_TS. Note: If you face error such as Unsupported Parameter while activating the above service, you can refer this discussion. In the previous step we created Customer, Sales Order Header and Sales Order Item calculation views and exposed them using XSOData. Now we will add association between the entities and define navigation between them. 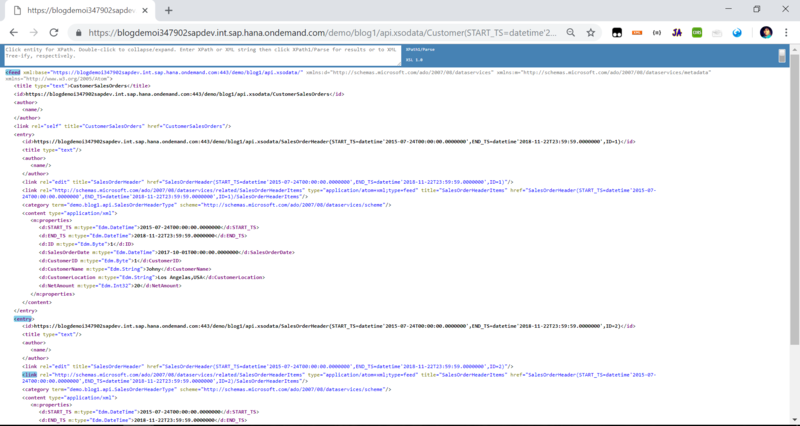 If you have followed from Step 1, you will notice that calculation view Customer has no input parameters and Sales Order Header has 2 input parameters START_TS and END_TS. 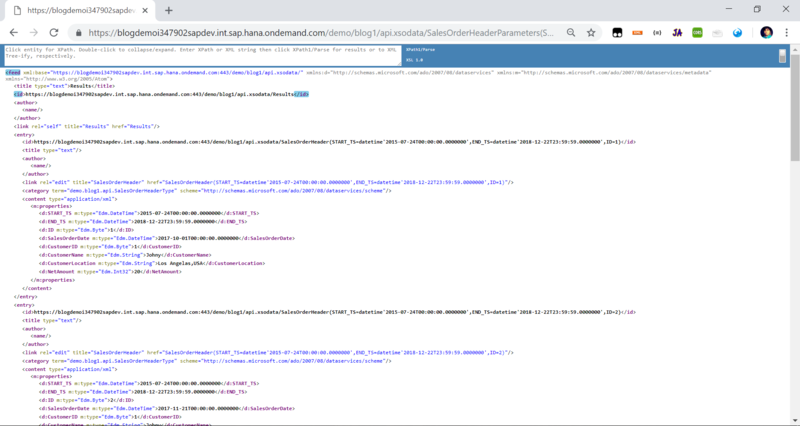 In order to navigate from Customer to SalesOrderHeader entity in XSOData it requires START_TS and END_TS input parameters to be passed from Customer to SalesOrderHeader entity. 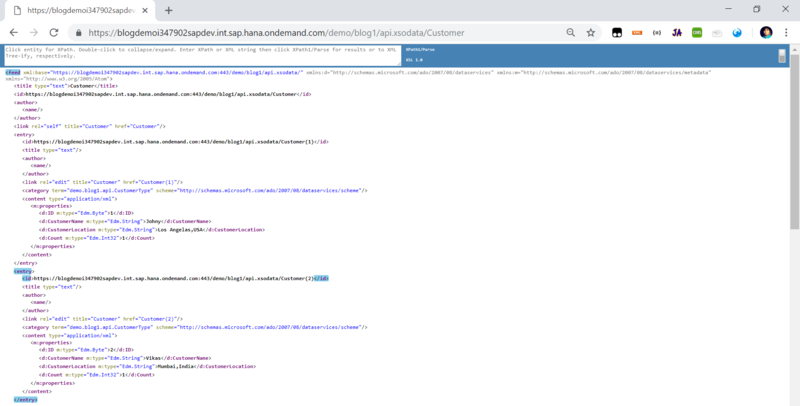 Hence we will add a dummy START_TS and END_TS input parameter to Customer calculation view which will have only one purpose of passing data from Customer to SalesOrderHeader entity while navigation. The change reflected in yellow rectangle is because of the changes made to Customer calculation view. It will enable Customer entity to accept START_TS and END_TS as input parameter along with its key. In red rectangle we can see the association defined between the entities Customer and SalesOrderHeader. Note that we have written input parameters before the key in principal and dependent declaration for the corresponding association. Input parameters should always be written before the keys. In green rectangle we can see the association defined between the entities SalesOrderHeader and SalesOrderItem. Lastly we have blue rectangle where we update our entities to navigate to the corresponding associations. 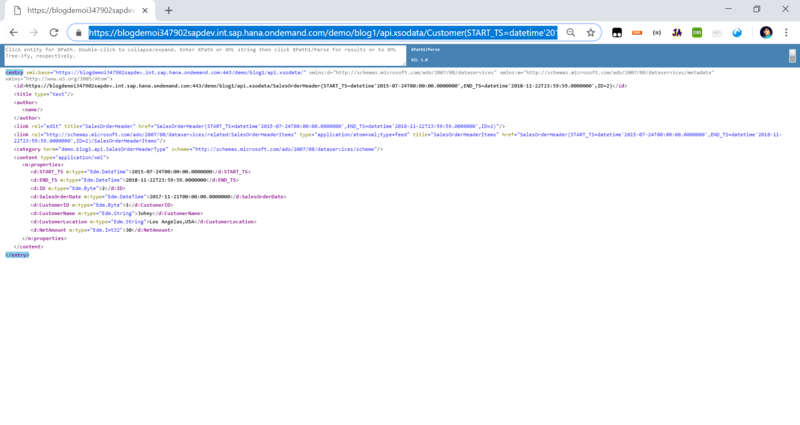 Now lets see how to access the OData entities and their navigation properties through URL. To access Customer when navigation not required, we can pass some dummy timestamp as START_TS and END_TS since these parameters don’t affect Customer Calculation View and are used only for passing it to Sales Order Header Calculation View. 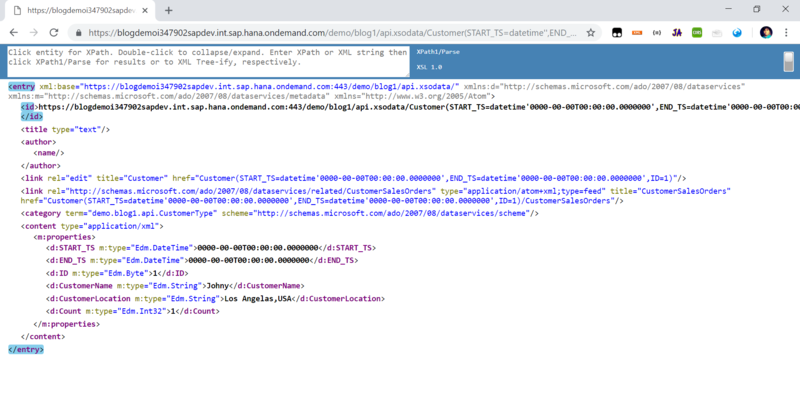 In cases where we require navigation from Customer to SalesOrderHeader we will pass valid timestamp as START_TS and END_TS input parameters to fetch sales orders for customers between the given time range. Hope this blog helped you. Please feel free to give any sort of feedback and comment.